The newly rebranded ‘Universal’s Holiday Parade Featuring Macy’s’ has been given a somewhat bigger scope for this holiday season. Those larger-than-life Macy holiday balloons are still part of the proceedings but they are now joined by 15 new “incredibly detailed” floats that feature the likes of the Minions, Shrek, Madagascar‘s cast, and, of course, Santa Claus himself. Guests will also enjoy colorful holiday characters, fantasy-filled floats, and a tree-lighting ceremony presented by Santa Claus and the famous New York City Rockettes. The Minions will be inhabiting a giant Christmas tree on their first float, attempting to decorate it while singing their very own version of “Jingle Bells.” Gru, Lucy and the girls are right behind them, decked out in their holiday best and wishing all the best Christmas ever. The kooky cast of Madagascar have taken over the biggest collection of the parade floats, where they’re throwing a tropical holiday party. Expect to see hi-jinks all around: King Julien presides over a giant pineapple balloon, the Penguins are on the hunt for Santa, and Alex the Lion, Gloria the Hippo, and Melman the Giraffe are doing just what you expect them to! Shrek is next up, accompanied by his wife, Fiona, their ogre babies, and, of course, Dragon and her dronkey babies. What are the parade times? 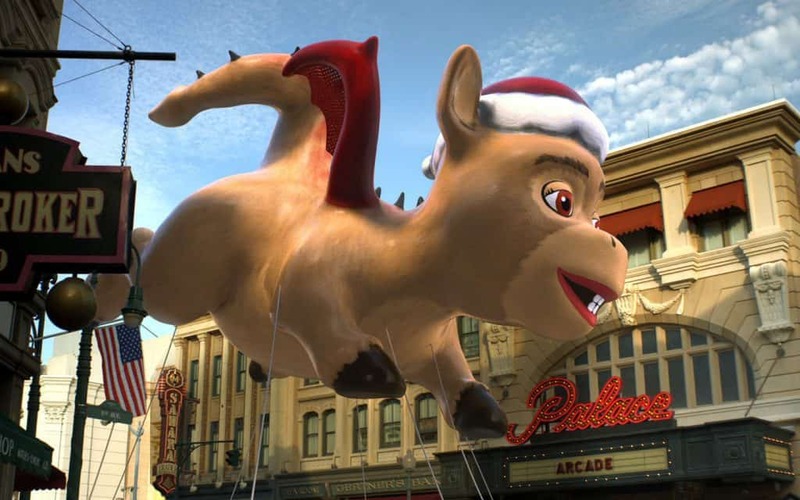 Universal’s Holiday Parade Featuring Macy’s runs every day, though the times do change.